Manila: The Philippine defence chief on Tuesday rejected a demand by communist guerrillas for government troops to withdraw from rebel-influenced communities in the countryside for the insurgents to extend a monthslong ceasefire. 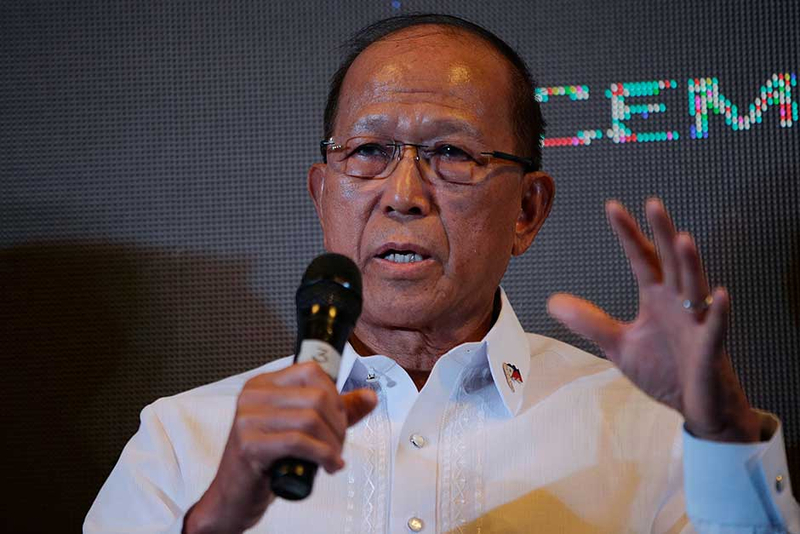 Defence Secretary Delfin Lorenzana said troops would continue to be deployed in all rural areas where they have to suppress lawlessness and added that the New People’s Army guerrillas cannot claim any part of the country as their territory. “They always say we are encroaching on their area. What areas are they talking about?” Lorenzana said. The Communist Party of the Philippines warned Duterte last week that the guerrillas may be forced to end their ceasefire and resume fighting if he doesn’t suspend the government’s counterinsurgency program and withdraw troops from rebel-influenced areas. If Duterte fulfils the demands by January and releases what the insurgents call political detainees through an amnesty, the rebel party said it can guarantee the ceasefire’s extension. Duterte has separately declared an indefinite ceasefire, and the truce declarations by both sides have helped foster peace talks brokered by Norway. 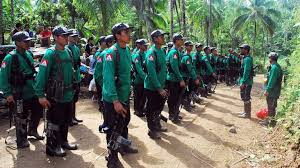 New People’s Army guerrillas, however, will be forced to engage troops if the president presses the military’s deployment of troops in what the rebels claim as “guerrilla zones” in the countryside, the outlawed party said in a statement. While no fighting has erupted since both sides declared separate ceasefires in August, the Maoist guerrillas have complained that troops continued to be deployed in rebel areas to carry out surveillance and other counterinsurgency operations in what they say are violations of the government’s own truce. Lorenzana said he favoured proposals for separate ceasefires declared by the government and for the rebels to be strengthened into a signed joint truce with mutually agreed terms that he hopes could restrict rebel crimes being continuously committed, including extortion. Duterte has also said he would no longer support the release of more insurgents after he worked to free several rebel leaders, adding that he would maintain his position even at the risk of the peace talks being terminated by the guerrillas. The rebels, he said, has asked him to free 130 detainees. “I said, ‘That’s my limit. Now it’s up to you if you’ll terminate it ... I’ve freed all your leaders,’” Duterte said. Battle setbacks, surrenders and infighting have weakened the rebel group, which is blacklisted as a terrorist organisation by the United States. A confidential Philippine government assessment obtained by The Associated Press says the guerrillas declined to 3,800 fighters with more than 4,500 firearms in the first half of the year, with about 700 of the country’s 42,000 villages affected by the insurgency.